fiction (novels, short stories) or non-fiction. The cost is €20. 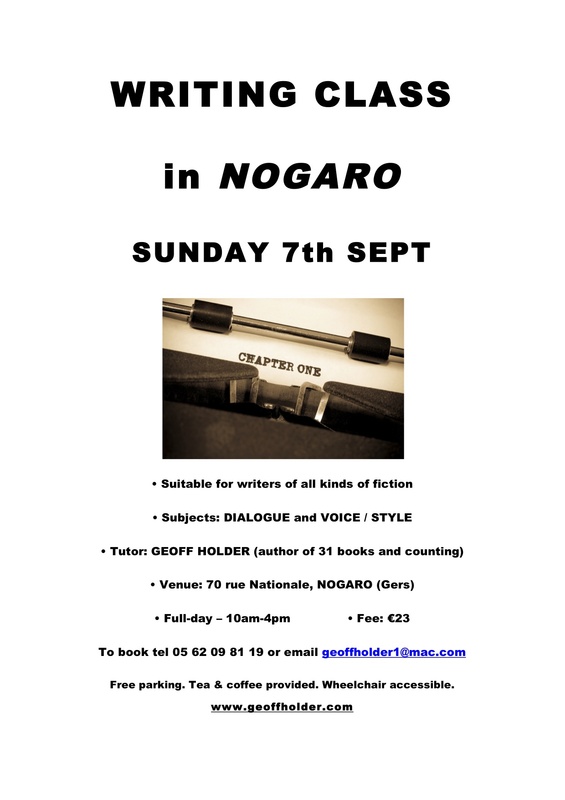 If you live in SW France and you see yourself writing a novel or a work of non-fiction, this is for you. The course will be in English only. 77 Rue Nationale, NOGARO (behind the Tourist Office). Places are limited – please book early. Free parking nearby. Tea & coffee provided. Wheelchair accessible. Cafés and boulangeries nearby for lunch. 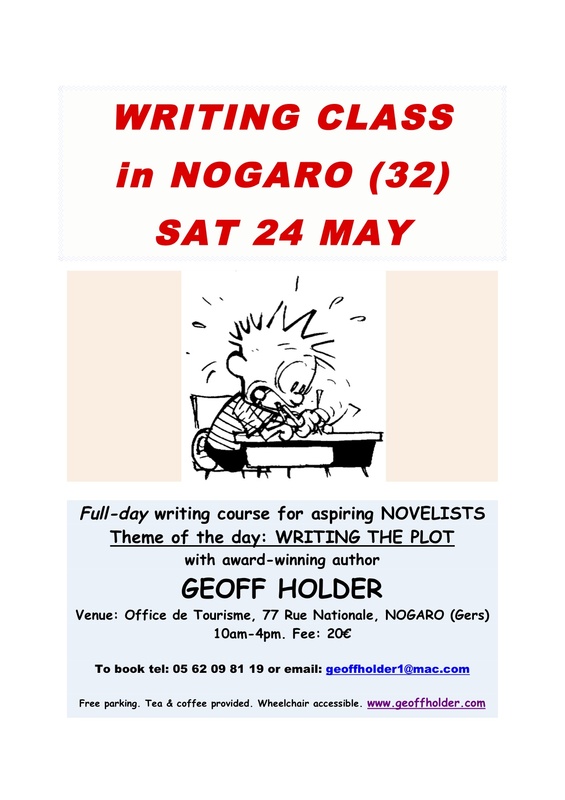 To book, please call 06 48 00 03 06/05 62 09 81 19 or email geoffholder1@mac.com. 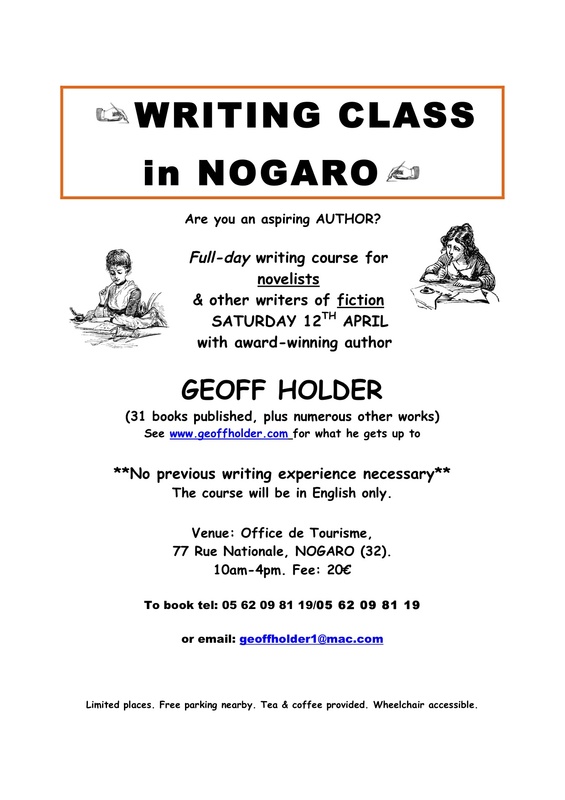 This entry was posted in Talks and Events and tagged Author event, event, France, geoff holder, Gers, Nogaro, Talks and events, writing course on 11/02/2014 by Geoff Holder.